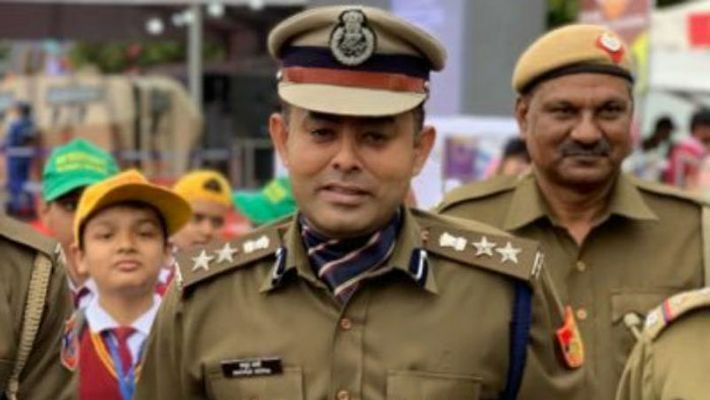 New Delhi: The face of Delhi Police, famous for solving the problems on social media, Madhur Verma, has landed into major trouble after a traffic inspector complained of being slapped multiple times. Karamvir, a traffic inspector in the New Delhi range, alleged that the problem started on Sunday when Verma's staff Rohit, who was driving his SUV on the wrong side, was intercepted by Karamvir. The Punjab-registered SUV had led to a major jam at a function where several judges had assembled. Karamvir alleged that Verma, the district DCP, called him to the police station and abused him verbally and physically at Rohit's behest. The traffic inspector also alleged that Verma was in an inebriated state. Karamvir had asked the local police to conduct a medical test on Verma, but they ignored his request. Verma has faced criticism for entertaining the complaints of only a certain section of the society to the exclusion of others. This is not the first time that Verma is facing an allegation of physical violence. In 2009, he was accused to have thrashed a businessman when serving in Chandigarh as ASP (Central). When MyNation contacted Verma for his version, he accused Karamvir, in turn, of filing a complaint to protect himself from departmental action that was recommended on the ground of the traffic inspector misbehaving with Rohit. Verma said there were witnesses to and CCTV footages of Karamvir's misbehaviour and his written apology was also proof of his guilt. 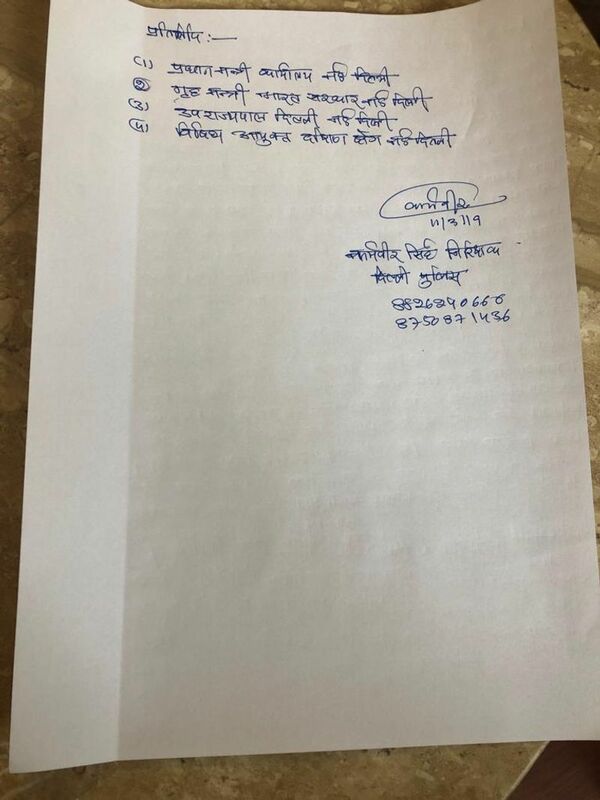 There is also no answer as to why Karamvir was called to the police station at around 11 pm in the night and also why DCP (traffic) Abhishek Dhaniya tried to intervene in the case instead of forwarding his junior's complaint to his senior for action. Verma said that a case was not filed against Karamvir initially because the DCP (traffic) had assured that the matter will be solved amicably after Karamvir had apologised. 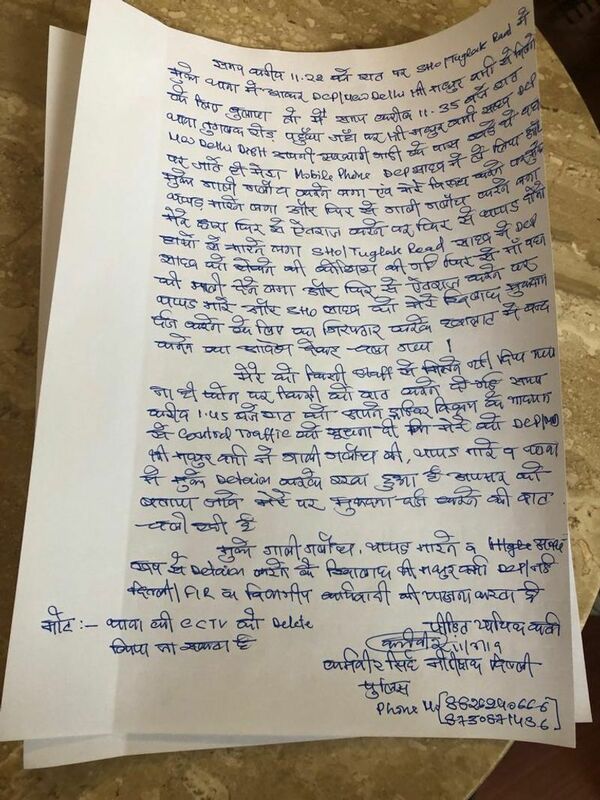 Verma said that the police is in the possession of Karamvir's hand-written apology as well and a suitable action will be taken against him. Karamvir, on the other hand, alleged that he was physically and verbally abused by Verma. "I was deployed at a function which was supposed to be attended by several judges. All of them were cooperating with the traffic police, but the operator of DCP, New Delhi Madhur Verma, identifed as Rohit, was driving on the wrong side. When I stopped him, he threatened me, saying that the car belonged to Verma. "Around 10.30 pm, the DCP (traffic) asked me to call Verma, who had asked me to visit the Tughlaq Road police station at 11 pm. Around 11.35 pm Verma, who was standing with his car at the Tughlaq Road police station, started abusing me and also snatched my mobile phone. When I objected to his abuses, Verma started slapping me. He repeatedly abused and slapped me in front of other police personnel. He did it thrice. At around 1:35 pm, I informed the DCP (traffic) that Verma abused and thrashed me. I want to file a complaint against Verma for illegal detention and physical violence." Karamvir said that it was a gross injustice by Verma that can't be tolerated. He said that there were CCTV footages of Verma's misbehaviour. The Delhi Police has launched a vigilance inquiry to find facts in the matter. 1. What forced Karamvir to be called to the police station when he was on duty? 2. Why Verma met Karamvir in the police station so late in the night? 3. Why was no action taken by Verma for 48 hours if Karamvir had indeed misbehaved? 4. Why was a departmental inquiry initated against Karamvir only after his complaint went viral? 5. Why did DCP (traffic) Abhishek Dhaniya ask Verma to not take action?